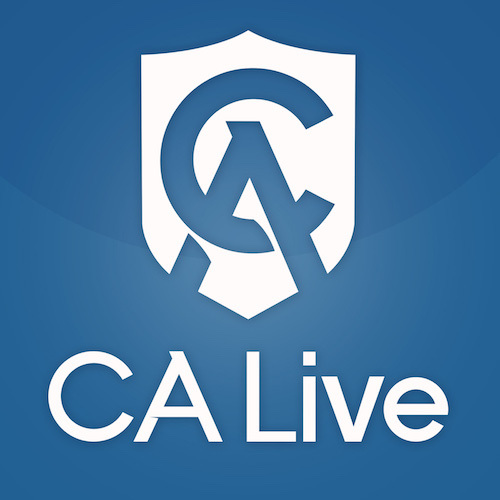 Catholic Answers Live, hosted by Cy Kellett, is a daily, two-hour radio program dedicated to Catholic apologetics and evangelization. According to listener surveys, it is a runaway favorite on Catholic stations across America. As a call-in program, Catholic Answers Live connects listeners to prominent leaders in the Church today—including scholars, nuns, priests, bishops, and cardinals—and touches on every aspect of our lives as Christians. You'll hear discussions on just about everything relating to the Church: doctrinal controversies, family concerns, social issues, evangelization, ethics…you name it! Catholic Answers Live airs every Monday through Friday from 6-8 PM Eastern (3-4 PM Pacific) on over 360 AM and FM stations in the United States, Sirius Satellite Radio channel 130, and through the Internet at catholic.com. If you can't listen live, you can subscribe to our podcast or download individual shows from our MP3 archive. Call in with your question at 1-888-31-TRUTH! Callers choose the topics during Open Forum, peppering our guests with questions on every aspect of Catholic life and faith, the moral life, and even philosophical topics that touch on general religious belief. 14:36 &#8211; How can we convince people that they are benefiting from faith here on earth as well as in heaven someday? 20:31 &#8211; How can I know when God is using me and how can I take things with faith and grace? 32:18 &#8211; It is overwhelming to think positively of the future of heaven when so many sad and negative things bombard us. What can I do about this? 42:55 &#8211; Is it possible to attain perfection in this life? 46:26 &#8211; What is heaven? 16:18 &#8211; Is disbelief in God a result of pride? 20:12 &#8211; How can we make the best examination of conscience, using the seven deadly sins? 22:41 &#8211; Can you explain gluttony? 30:52 &#8211; Why is it that some people find living the virtues so easy, while others find it more difficult? 35:00 &#8211; I want to sleep for 2-3 hours during the day. Is this a sin? What can I do? The Catholic Answers Quiz Show is an opportunity for two blessed listeners to compete for Catholic trivia glory. Listen in and play along! 1) What does the word Messiah mean?